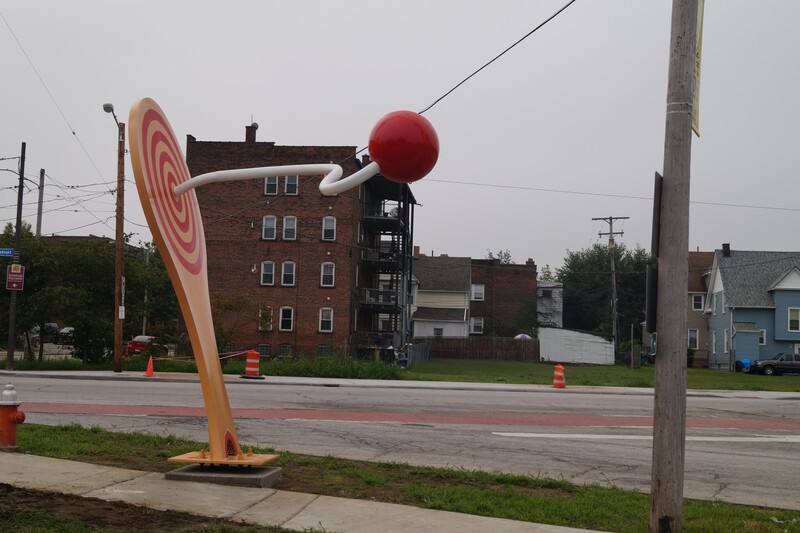 Detroit Shoreway's giant paddle ball, (9/13/18). 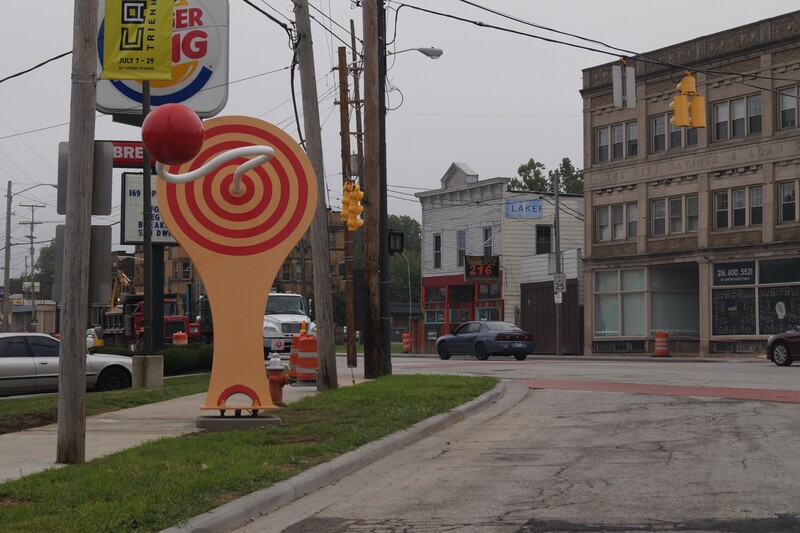 A giant paddle ball sculpture was installed on Cleveland's west side last night, on Lake Road, just past the Detroit Avenue intersection. The scultpure is the brainchild of Ben Haehn, Nathaniel Murray, and David Spasic of Superelectric pinball parlor. 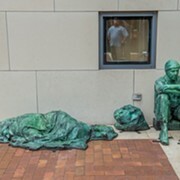 It was erected with the support of the City of Cleveland's public art program and managed by LAND Studio. 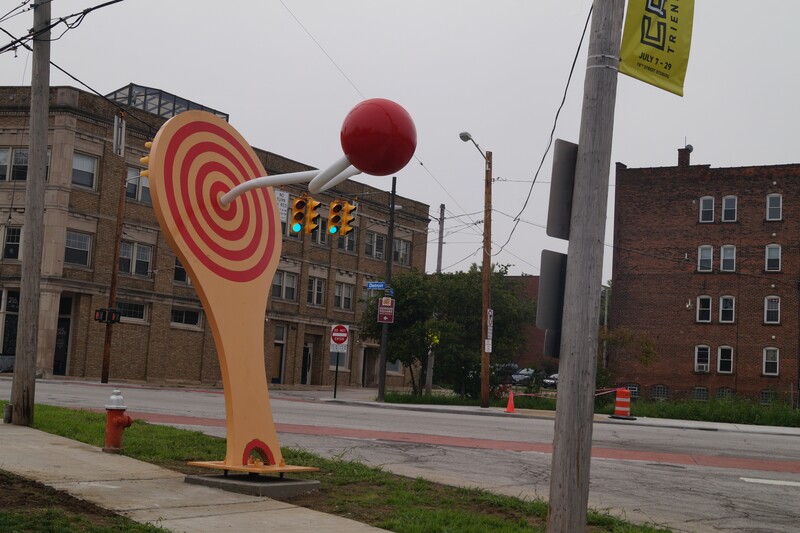 "The paddle ball sculpture will serve as a symbol to everyone entering through the west side corridor that they have arrived in Gordon Square,” said city councilman Matt Zone in April. 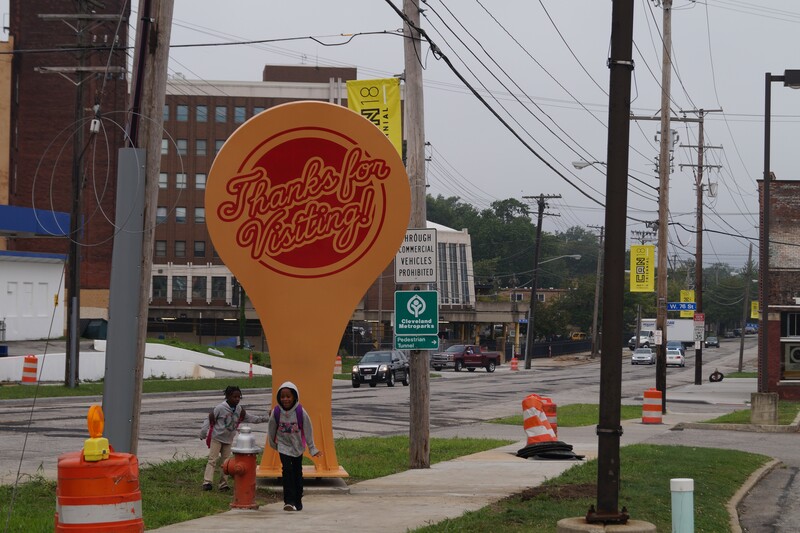 On the sculpture's backside, there's a giant script "Thanks for visiting!" 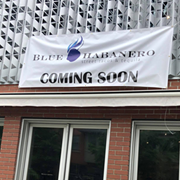 note, which is a nice touch and in keeping with the neighborhood signpost symbolism. The installation is complete just in the nick of time. 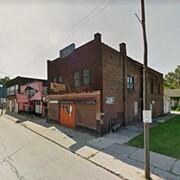 This Saturday, the Gordon Square Arts District and the Superelectric dudes want to assemble 500+ folks for a Guiness World Record attempt: most controlled paddle balls at one time. The current record stands at 443.